First Woman Prime Minister Research Papers examine an order placed on a comparison and contrast of other leaders of countries. Introduction - should include why paper is being done and what the point is. Background - provide a summary of issue. Current thinking - should cover current literature relating to topic. comparison - should include how subject compares or contrasts with other leaders, in this case Tony Blair. conclusion - critical analysis of characteristics of the leader and their importance. References - minimum of 6 six references from journals, textbooks, Internet sources. Born in 1925 and the daughter of a Grantham shopkeeper, Margaret Thatcher would raise to become Britain’s first woman Prime Minister. In her time as Prime Minister, she would re-ignite the engines of capitalism, oversee the collapse of Soviet Communism and leave an ever-lasting mark as one of Britain’s great leaders. She was often considered to have great willpower, but was this her defining attribute as a leader? I would like to examine the various traits of leadership, what her attributes as a leader were and determine what her style of leadership was since, these attributes and traits made her stand out as a great leader. Some have said that she was born to lead, but are there other factors that played a part in her becoming a great leader? Was it the situation of the time that gave her a role as a leader for change? Or was it purely her attributes that made her great? I would like to look at some of the theories of leadership and see how they apply to her time as Prime Minister. 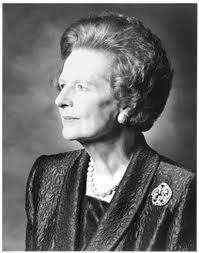 Finally, I would like to compare her leadership and that of Tony Blair. Are there aspects of her leadership that are so desirable that politicians from both sides of the political spectrum will seek to expose them? Paper should demonstrate the use of different leadership theories in answering the question. Definition of Leadership - Definition of Leadership term papers discuss the basic functions of leadership in a business setting. William Gladstone - William Gladstone research papers overview the British Prime Minister's career and historic influence. Neville Chamberlain - Neville Chamberlain research papers delve into the life of a British prime minister who made a difference during his time. A Woman as President - Woman As President Research Paper looks at how far along women have come in society. Paper Masters writes custom research papers on First Woman Prime Minister and examine an order placed on a comparison and contrast of other leaders of countries.